When I left the doctor's office yesterday, I was so glad that we mutually decided that I did not need medication to control the glucose level in my blood. I was assured that as long as I continued to eat healthy balanced meals, cut down on carbohydrates and refined sugar, and do daily exercise that I would be okay. I went to a local restaurant to eat lunch before I went to visit my mother and sister. 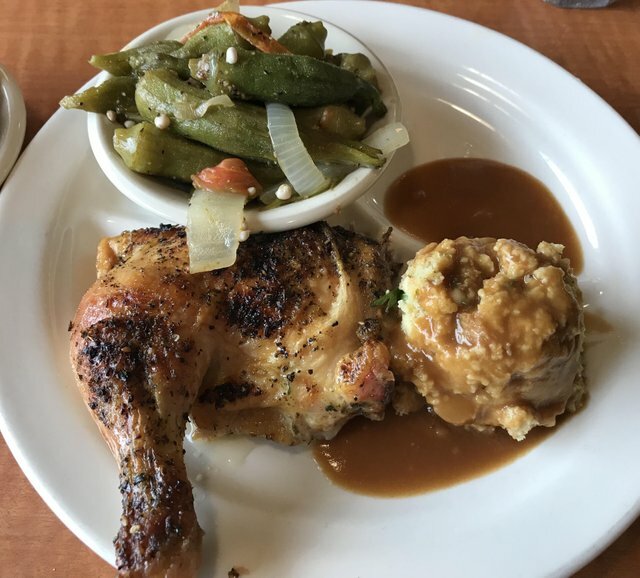 I ordered broiled chicken, steamed cabbage, steamed okra, cornbread dressing, and a beet salad. 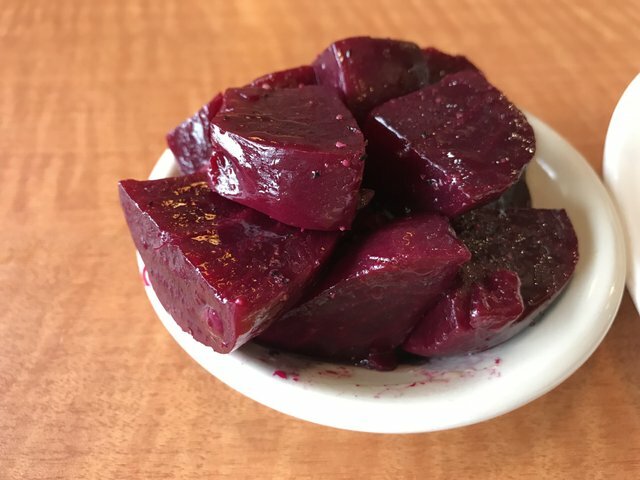 Now I know that the beets are high in sugar so I only ate a couple and took the rest home with me for later. I also know that the dark meat of chicken has more fat than the white meat, but I do not have a weight problem so I chose the dark meat portion this time. 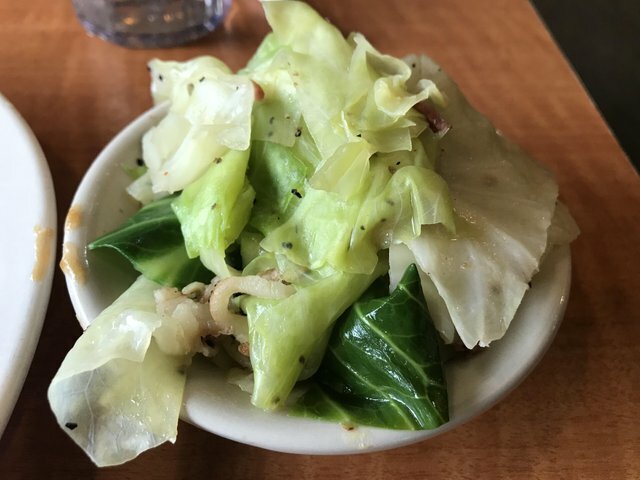 The cornbread dressing is also a carbohydrate, but it was a small portion and I have not been eating carbohydrates for the last several few days. I did not try to eat all of my food. As soon as I started to fill satisfied, I asked for a take-out dish and took the rest home to eat later. I need to manage my portion sizes and not let a restaurant determine how much I should eat at one meal. Some restaurants actually give huge portions so that you can take out your left-overs in their printed bags. Those printed bags are part of their marketing and advertising campaign. As you walk away, people see your bag and think to themselves, "I ought to go there to get something to eat." 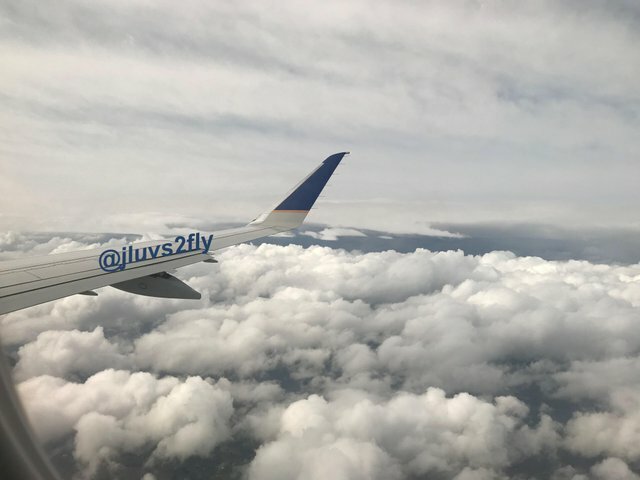 I will be flying back to my other home this afternoon so I will get plenty of walking done as I go through two different airports. I will miss my knitting class today but I will get a chance to work on my second sock at the airport while I wait, and on the plane. I stopped by one of my favorite stores yesterday to see the latest spring fashions. They were using very bright colors in cotton blends but the prices were astronomical. I realized that I could sew those outfits and that I already had the fabric to do it. I went through my stash of fabric and patterns here to see if I will be motivated enough to actually sew and complete an outfit or two before my trip in about a week. I also need to decide if I want to make something new or just alter something that I already have completed. My clothes need to be altered because I am smaller than I was a year ago. 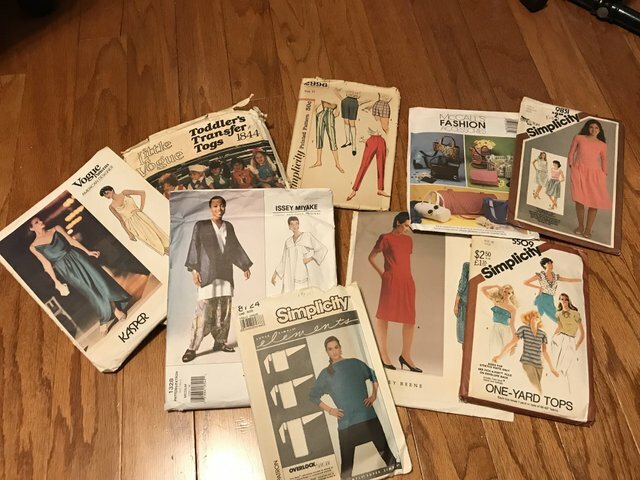 In the process of looking for patterns that I could use or alter, I came across some on my vintage Vogue Original Design patterns. I googled one just to see if it was still available and if so, how much it would cost. Wow!!! 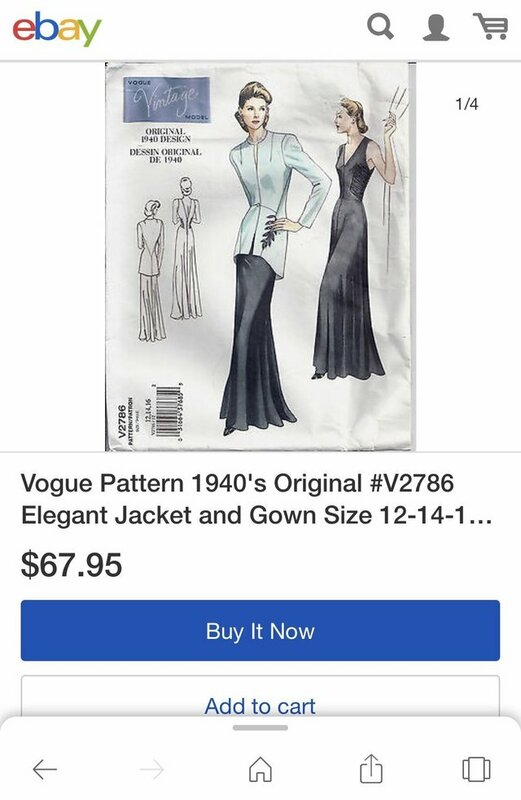 One pattern is selling for $115.00! Once again I am amazed. 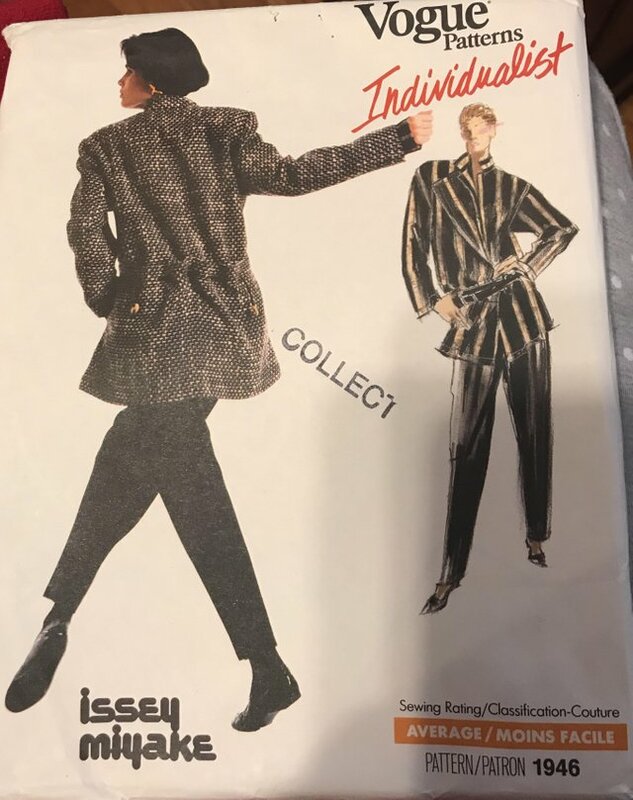 I have boxes of old patterns that I bought many years ago when I was actually sewing on a regular basis. 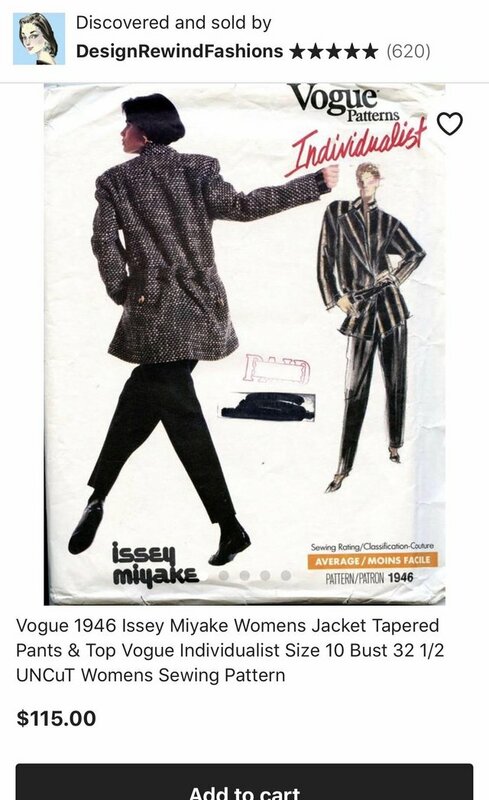 These old patterns are now very valuable. Who would have guessed? Most of my patterns are new and uncut because I always intended to make these dresses but never got a round to it. It's nice to know that I can sell them if I get in a pinch and need some money. Right now, I'm going to hold off for a while. I will consider them an investment for my future in the digital age. 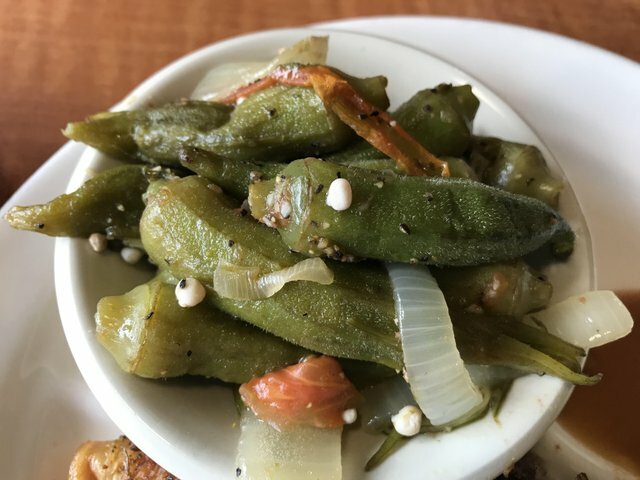 Very appetizing photos. I'm glad that you are doing well with health and you are in great shape. 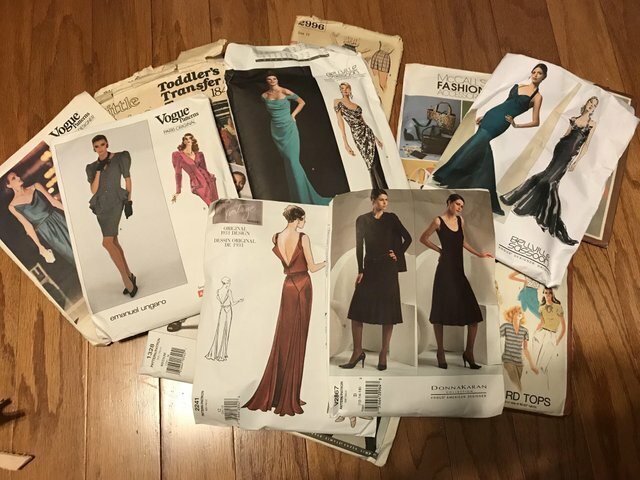 @jluvs2fly, it is amazing that you still have those old patterns, my son called and told me that he finally cleaned out the attic and found a box of fabric and patterns. Wow, I didn't know they were so expensive now. Thanks for the memories.